‘For I assure you, without travel, at least for people from the arts and sciences, one is a miserable creature!’ stated Wolfgang Amadeus Mozart. For generations, composers and choreographers have been inspired by exotic settings around the world to create their art. Use our destination guide to plan your holiday to the places that inspired the great stories, characters, music and dance this Season. And if you can’t get away for a physical holiday then escape to a magical destination by watching a performance at the Royal Opera House. Vincenzo Bellini’s Norma is set amongst the Druid temples and sacred groves of Roman-occupied Gaul. Your local travel agent may look at you strangely if you try to book a trip to Gaul, considering it hasn’t existed since the fifth century, however you can travel to Germany west of the Rhine river to explore remnants of Gallic and Roman civilisations. 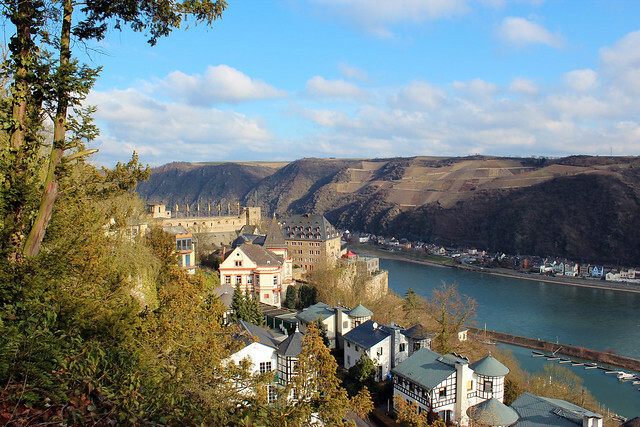 Fly into Frankfurt and use Bingen am Rhein, originally a Gallic settlement, as a gateway to Rhineland-Palatinate region. Hike the Soonwaldsteig Trail and picture the Druids’ mysterious rituals in forest groves, as you search for Celtic and Roman ruins. Visit the Hillfort of Otzenhausen, a key Celtic fort in the 1st and 2nd centuries BC and the Belgnium Archaeology Park with its collection of Celtic and Roman artefacts. Continue to Germay’s oldest city Trier, where you will see vestiges of Roman conquest including a Roman city gate, amphitheatre, baths and a Roman bridge still used by traffic. Celebrate the end of your tour with local wine from the Moselle region. Norma runs 12 September–8 October 2016. Tickets are still available. It is a co-production with Opéra National de Paris. With its historic architecture, cobbled streets, sunny squares and orange trees, Seville has captured the imagination of many composers. Once the European gateway to the Americas, Seville led the way in the cultural achievements of the Spanish Golden Age, gaining fame in 16th and 17th-century literature. Seville's colourful and romantic reputation makes it the setting for over 100 operas including Carmen, Don Giovanni, Fidelio and, of course, The Barber of Seville. Start your tour of the ‘opera city’ at St Thomas Street, the supposed location of Figaro’s house, amidst some of Seville’s most impressive landmarks: the Moorish palace of Alcázar, the largest Gothic cathedral in the world and the 16th-century Archivo de Indias. 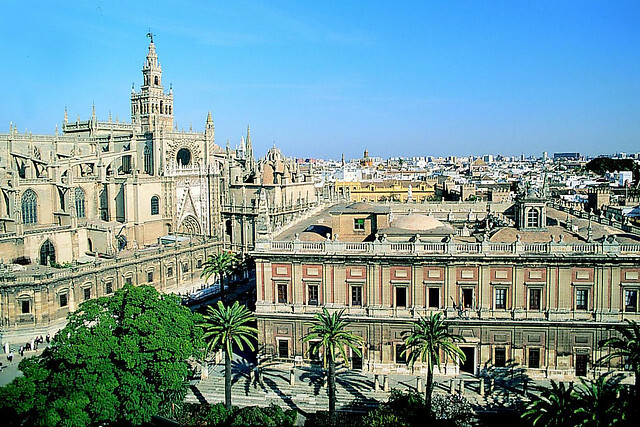 Check out the Royal Tobacco Factory (now a part of the University of Seville), the setting for Act I of Carmen and an exemplar of 18th-century architecture. Make your way through the narrow streets of the Santa Cruz neighbourhood where many of Figaro’s adventures took place. At the corner of Argote de Molina and Segovia Streets you can picture Rosina’s Balcony and sing a few lines of ‘Ecco, ridente in cielo’. Don’t forget to stop off for some of Seville’s famous tapas and flamenco, then complete your tour with a visit to the magnificent Plaza de toros de la Maestranza. Immortalised in Carmen, it is arguably the most impressive bullfighting ring in Spain and nearby stands a monument to Carmen herself. Il barbiere di Siviglia runs 13 September–11 October 2016. Tickets are still available. ‘There exists in my imagination a life in the country of eternally late spring, a leafy pastorale of perpetual sunshine and the humming of bees – the suspended stillness of a Constable landscape of my beloved Suffolk…,' wrote choreographer Frederick Ashton. Don’t be fooled by the Gallic title: La Fille mal gardée is actually one of Ashton’s most quintessentially English ballets. Search for the Suffolk of Ashton’s imagination in ‘Constable Country’, along the River Stour and Dedham Vale. To truly soak up the serenity of the countryside, explore it on foot or on bicycle following the Painter’s Trail. Experience the fruits of Suffolk’s agricultural heritage with a ‘foodie tour’ of the historical towns and villages of Bury St Edmunds, Lavenham and Sudbury, or time your visit to coincide with one of the local food festivals. 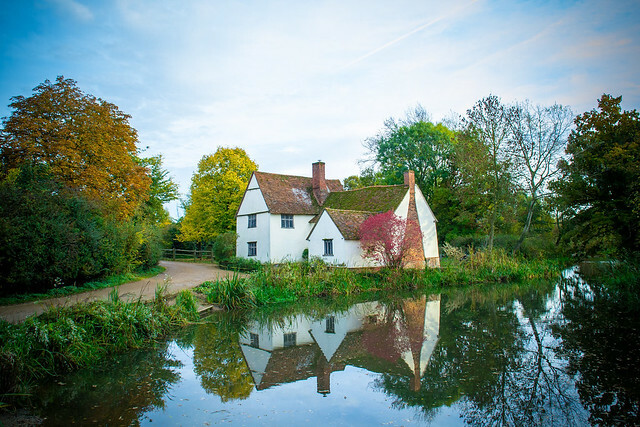 See Suffolk’s pastoral side by visiting the working farms around Ipswich or the quintessential Suffolk village of Somerleyton with its thatched cottages around a village green set between grazing sheep on verdant slopes. Fancy continuing your journey further afield? Make your way to Colne in Lancashire, the home of clog dancing, to discover the origins of this English folk dance which features in La Fille mal gardée. Travel to the land of vodka and babushkas to track down the settings of Anastasia and The Nose. Make a beeline for Saint Petersburg, Russia’s second largest city, the former Imperial capital and birthplace of Dmitry Shostakovich among many others. Tour the significant Romanov palaces. Visit Peterhof Palace (Princess Anastasia's birthplace) and Alexander Palace, the family's favoured residence and where the Imperial family were held under house arrest in 1917. 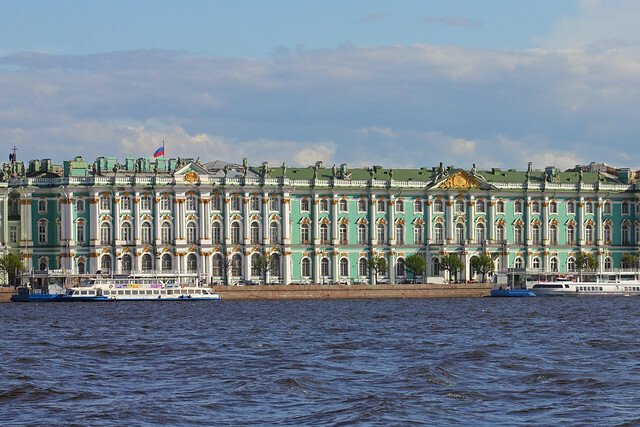 A highlight of St Petersburg is the Winter Palace, a symbol of the Russian Tsars, where the Romanovs spent their winters and hosted lavish balls before it was captured by the Bolsheviks. Tombstones in the Peter and Paul Cathedral mark the final resting place of Tsar Nicholas II and his family. Is Anastasia one of the three daughters whose remains rest here? Find Shostakovich's birthplace on Podolskaya Street and perhaps catch an opera performance at the Mikhaylovsky Theatre where The Nose had its premiere in 1929. Take a trip down Sadovaya Street where Major Kovalyov lived the short story by Gogol that inspired the opera. Trace the Major’s pursuit of his nose down to the site of Saint Isaac's Bridge on the Neva River, over to Kazan Cathedral, and onto Nevsky Prospect – the main street of St Petersburg – where you might lose your nose in the crowds but can catch up on your shopping. Anastasia runs from 26 October–12 November 2016. Tickets are still available. The Nose runs from 20 October–9 November 2016. Tickets are still available. Immerse yourself in local tipples and cuisine when touring the settings of Les Contes d'Hoffmann. Your first stop should be Nuremberg in Bavaria, for the prologue of your tour and Hoffmann's tales. Head for the Old Town to get a feel for the city in Hoffmann’s day. Search for an atmospheric tavern and settle in for a glass or two of dark local beer, a plate of bratwurst sausages and get swept up in the romantic atmosphere. While in Germany, skip ahead to Act III with a visit to Munich and put on some Lederhosen to join the party in its one of its boisterous beer halls while searching for a singer called Antonia to fall in love with. 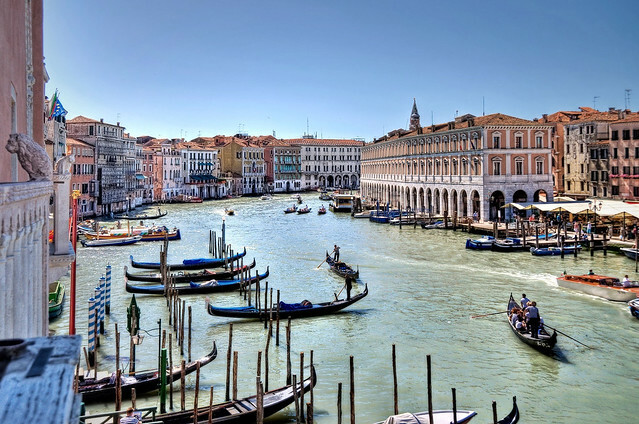 Spend a few days in magical Venice, 'the floating city', wandering the atmospheric canals and piazzas. Take a gondola ride down the Grand Canal and look for Giulietta's palazzo as you float along being serenaded by your gondolier. Finish off with a lavish Venetian feast in a canal-side restaurant. Les Contes d'Hoffmann runs 7 November–3 December 2016. Tickets are still available. Ah, Paris. 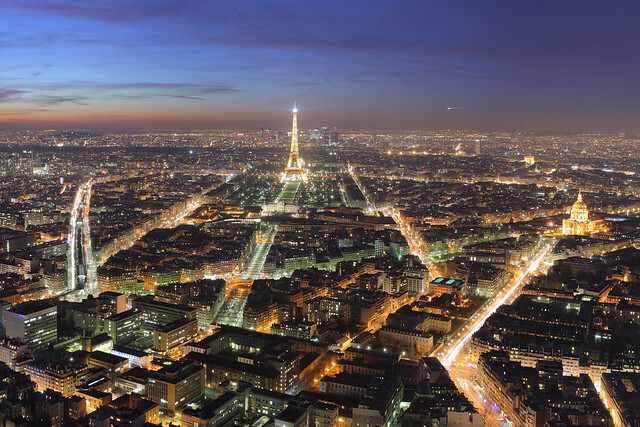 The ‘city of love’ has inspired many operas and is, of course, a worthy addition to any travel itinerary but let’s move along to some of the other settings of Manon Lescaut. Head to Amiens, a transportation hub in Manon’s day. Pull up a chair outside a café in Place Gambetta to imagine Manon's carriage pulling up as the chorus sings ‘Giunge il cocchio d'Arras!’ Make your way to the northern coast of France and explore the harbour of Le Havre, where Manon was imprisoned before being deported to Louisiana. See if you can find a ship to take you across the Atlantic Ocean as Manon did; otherwise fly to New Orleans where you should spend some time hanging out in jazz bars and eating Creole food before searching the outskirts of the city for the desert where Manon meets her fate. Unfortunately you won't find any real deserts in this area of rich alluvial land of the Mississippi delta but you can find windswept grasslands in the Cajun Prairie in southwest Louisiana. 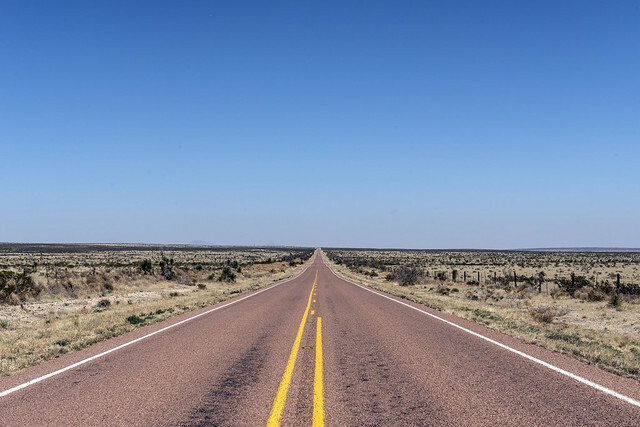 To experience some proper ‘feel-thirsty-just-by-looking-at-it’ desert, it’s best to road trip to nearby Texas and Chihuahua in neighbouring Mexico. Have you been inspired to travel by any operas or ballets? I'm off to Cuba on Monday to learn about ballet there! I think you're recommending the wrong Manon Lescaut travel option. The correct plan is: once in Le Havre, cruise along the docks until you find the right advertising hoarding, slip through the rip in the space-time continuum and find yourself in post-apocalyptic New Mexico. Just stay away from the wrecked freeway flyovers and you should be fine. This is great, I love travelling for ballet and sometimes opera too: Paris, Antwerp, Verona, Copenhagen, New York, Milan, Varna and Havana later this year. Would love to go to St Petersburg, Helsinki, Stockholm and Vienna too! I understand the purpose of this post would encourage your readers to go further in order to enjoy operas and ballets away from their comfort venue. Tintagel England - atmospheric and gorgeous setting of Tristan und Isolde! With King Arthur lore thrown in as a bonus! Approx 26 years ago I saw a production of the Magic Flute at the ENO, the Egyptian sets designed by Bob Crowley inspired me to go to Egypt! You left out Tosca’s settings in Rome. They are still there. Add the dance festival of Kalamata every July. Mostly modern dance but a beautiful setting in the castle amphitheatre and beautiful places to visit with lots of direct flights.